On any given day at Brookside, you will find students learning through math games with partners, sharing their opinions about characters while citing text evidence to support their thinking or using inquiry to develop ideas about scientific exploration. Classrooms include sensory tools and flexible seating to support a range of learning styles. Teachers consider all modalities when designing instruction and are dedicated to unique approaches that support as well as challenge students to reach their full academic potential. Families and staff work together to provide daily social/emotional instruction that is needed for all students to develop into Brookside PROUD (polite, responsible, outstanding, understanding and dependable) bears. 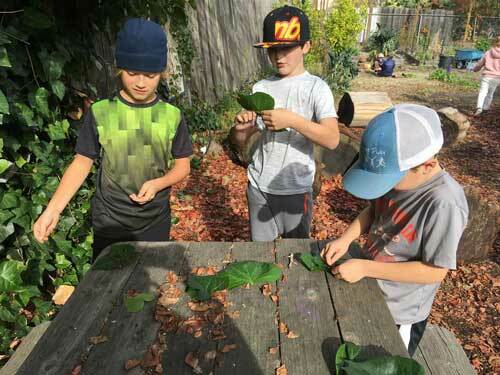 Our active student clubs Green Team, Executive Council and Children for Change provide students with opportunities for service learning on our campus and in our greater community as they develop compassion and leadership skills. We are excited to welcome our new Garden Coordinator, Tory Canby. She joins us with over 15 years of experience working in educational settings. Her area of interest has been around specialized fields such as the Civil Rights Era, American Indian studies, herbalism and art. She hopes to integrate her eclectic interests into the curriculum. She also has an extensive garden at her home and has recently completed a Permaculture Design Certificate at the Regenerative Design Institute in Bolinas. 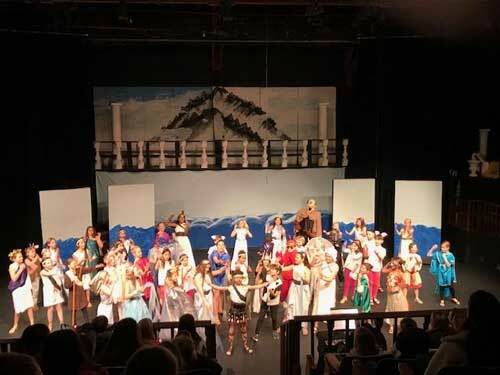 Brookside students displayed their talents with a performance of The Odyssey. Thanks to the YES Foundation, many students were provided with the opportunity to work behind the scenes, act, dance and sing! We celebrated the birthday of Dr. Seuss with a cafe in the Brookside library. Fourth and fifth grade student waiters served Dr. Seuss books to younger students for their reading pleasure. Transitional Kindergarten is a wonderful program that provides students with a developmentally appropriate start to their whole school experience in the Ross Valley School District. The program is currently located at Brookside School. For the 2019-20 school year, a child must have his/her 5th birthday between September 2 and December 2, 2019, to be eligible to attend Transitional Kindergarten. For the 2019-20 school year; program implementation (including location/s) will depend on the number of students who enroll. Completing registration will give us a way to contact you as we determine program implementation. Principal Judith Barry is delighted to provide school tours and information on our school-wide curriculum and programs. Please join a tour of our campus and feel free to ask questions. Sign up for a School Tour here.